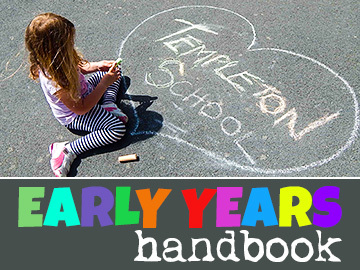 The aim of any good school must be to provide a quality education for its pupils and Templeton School strives to do its best for each and every pupil in a pleasant working environment where children are able to work to their full potential. 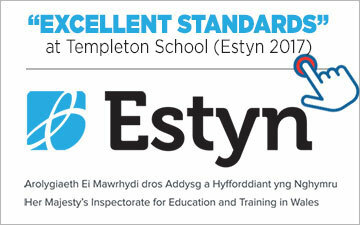 We are a very high performing school, with our results consistently above County and National levels. We promote the ethos of everyone reaching their potential whatever that may be. Our mind-set is that we can all strive to be the best that we can be in terms of academic, behaviour, health, wellbeing, sports, music, art and as citizens of the community. Our curriculum is designed to achieve this. The quality of work in our pupils’ books are often used as exemplars for other schools to follow and are used as training materials for best practice on local Authority training days. Our curriculum is broad and balanced offering children many exciting and wonderful learning opportunities to develop their spiritual, social, aesthetic, linguistic, mathematical, scientific and technological skills and knowledge. We are also equally concerned with the development of personal qualities, behaviour and conduct. We teach a skills based curriculum with a strong emphasis on the acquisition of skills and knowledge throughout all areas of learning. We ensure that our children are very active learners and are fully engaged in setting targets for improvement and conduct self and peer assessments. The National Curriculum requires us to teach your child the skills of reading, speaking, listening, writing, handwriting and spelling. These elements are taught in a very structured way to develop your child’s literacy skills. From the youngest age we work on developing language and preparing your child for reading and writing. We use the highly acclaimed Read, Write, Inc programme to aid with developing reading, and spelling skills, which in turn are used to develop your child’s ability to write independently. 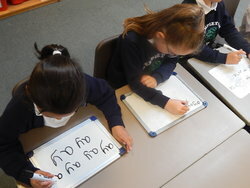 The children are taught to form letters correctly and to use joined up writing at the appropriate time. As your child progresses through the school they will be using their literacy skills in a wide variety of forms and for different audiences. 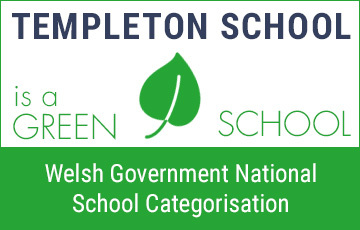 Numerous opportunities are provided for talking, debating, discussing, expressing opinions and public speaking through all areas of the curriculum. Children are provided unlimited opportunities to become very competent readers. The Read, Write, Inc programme is very successful at putting the building blocks in place. These skills are further developed as the children progress through the school through regular reading activities and guided reading sessions. We have a well-stocked school library and reading books are sent home regularly with the children to further develop home-school links. Pupil develop their writing skills as they progress through the school. 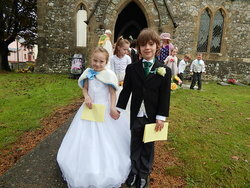 They have the opportunities to write for a range of purposes and audiences. They are taught a self-editing code which helps them to improve their pieces of extended writing. The quality of the written work produced by our pupils is often used as exemplars on training courses. 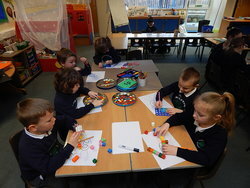 We aim for all children to become mathematical ‘thinkers’, to have the confidence to have a go at problem solving, to have a positive attitude to maths and essentially to gain enjoyment from exploring mathematics and to be able to use mathematical knowledge in all areas of the curriculum with confidence. Numeracy is taught through the Abacus Evolve Mathematics Scheme, a very comprehensive collection of mathematical resources which allows effective continuity and progression in mathematical skills throughout the school. The Numeracy curriculum involves a detailed understanding of number systems and problem solving with a great emphasis on mental as well as written methods of calculation; it also demands practical understanding and application through the study of shape, pattern, space, measures and handling data (graphs, diagrams and charts). The National Curriculum requires us to teach your child skills and knowledge associated with living things, forces, the sustainable Earth, materials and their properties, Earth and Space and the interdependence of organisms. We devote a great deal of time to teaching the children how to investigate and experiment and to use appropriate scientific vocabulary. The development of curiosity and inquiry skills are considered very important and are wonderful outdoor learning ethos really encourages this. 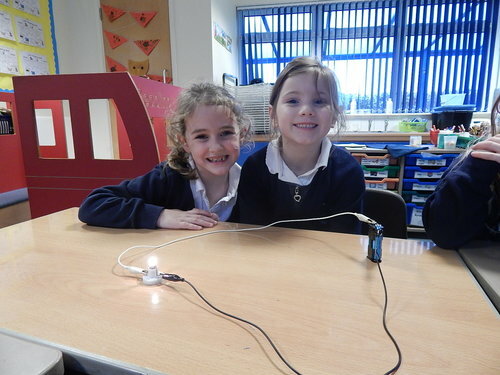 In the teaching of science throughout the school there is strong emphasis on the use of ‘Hands-On Active Learning’. 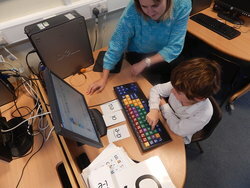 Computing skills are used extensively across the school. All classes are equipped with interactive whiteboards and networked PCs with wireless broadband connection and every lesson will have an element of ICT. The interactive whiteboards contain numerous resources to enhance the delivery of Maths, English, Science and all other subjects. To further develop ICT skills we have modern laptops complete with wireless broadband access which serves as a mobile computer suite. These are widely used throughout the school and carefully timetabled to ensure maximum use. In addition, the curriculum is further enhanced through the use of flip cams, microphones and iPads. The internet is an extremely valuable teaching tool. 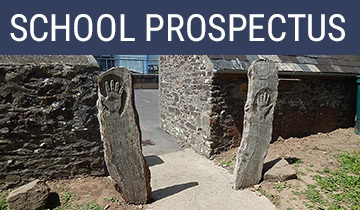 Its use is monitored and filtered by Pembrokeshire County Council to allow safe use. We have a ‘Safe Internet and Email’ policy which is strictly adhered to.